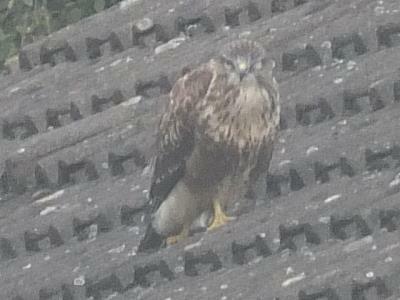 Bird Id - Forum - Identifying Birds - What Bird Of Prey Is This Please ? Forum > Identifying Birds > What Bird Of Prey Is This Please ? 81 This bird was spotted on my neighbours roof - Thought it was too big for a Sparrowhawk - If anybody can help me it would be appreciated - Thanks.